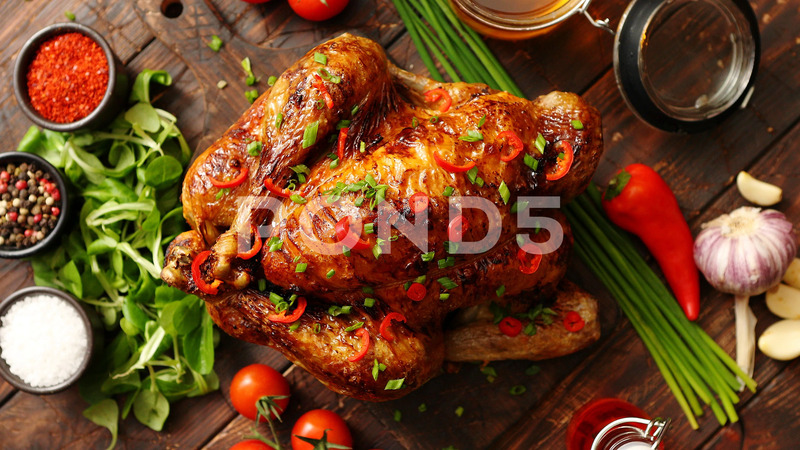 Description: Roasted whole chicken or turkey served on wooden chopping board with chilli pepers and chive. With ingredients on sides. Shot from above with copy space for text.